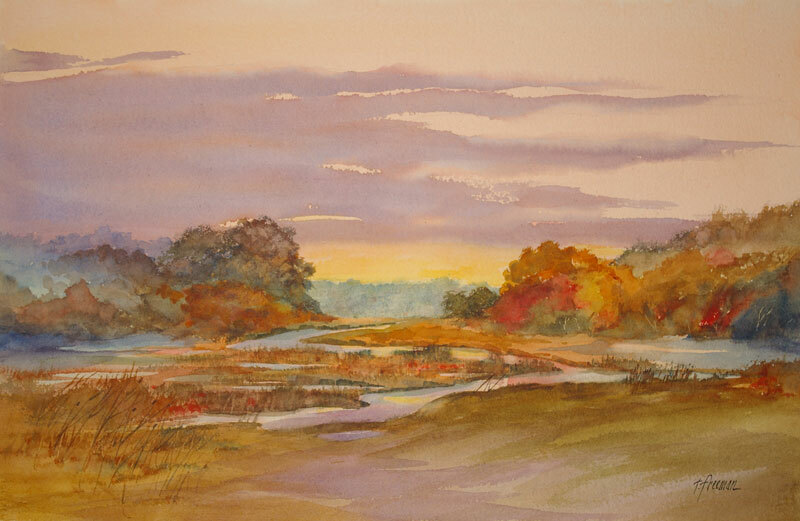 Thomas Freeman Original Watercolor Painting: "A New Day"
This idea came from a Minnesota field early one foggy morning. I liked the clouds and their reflection in the winding creek. The foggy trees were produced by using a Mister and very little pigment.